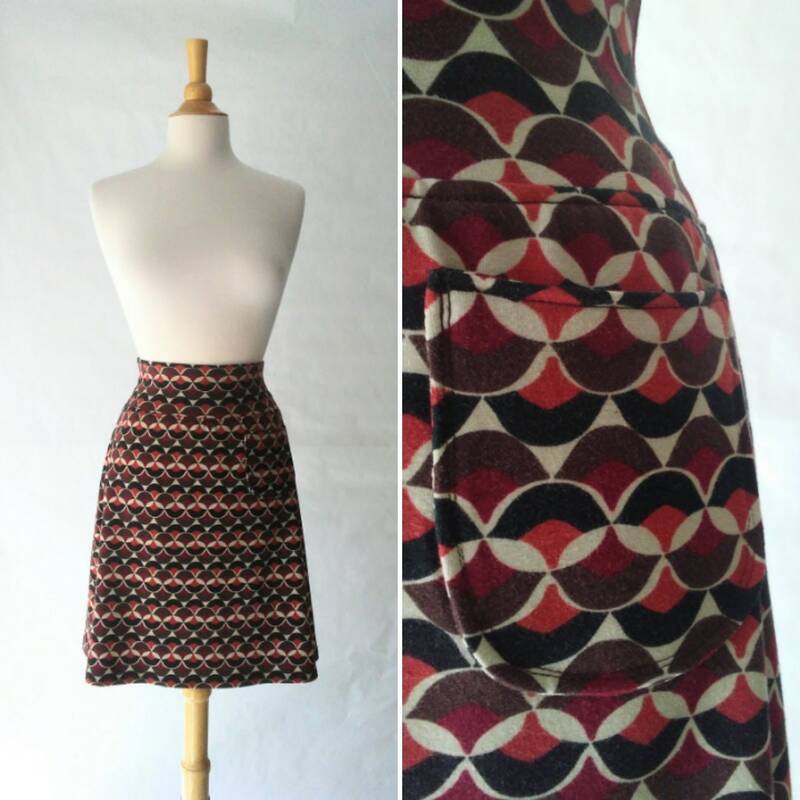 Brown geometric print Aline skirt. 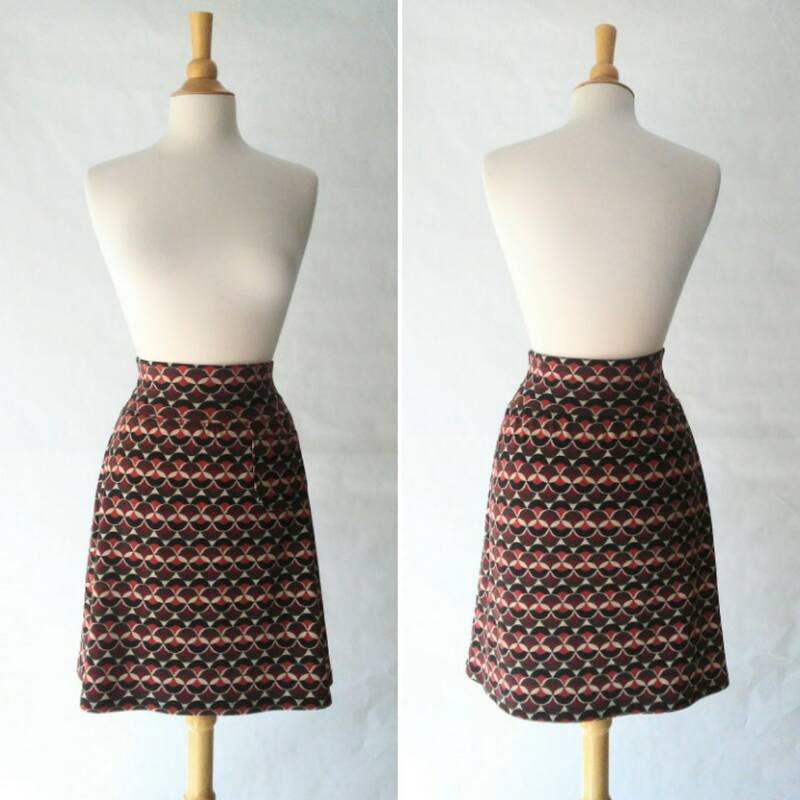 Stretch cotton jersey aline skirt with a pocket. This is a pull on style with a soft stretchy cotton jersey waistband. The single front patch pocket is perfect for stashing change, lip gloss, keys and whatnots. 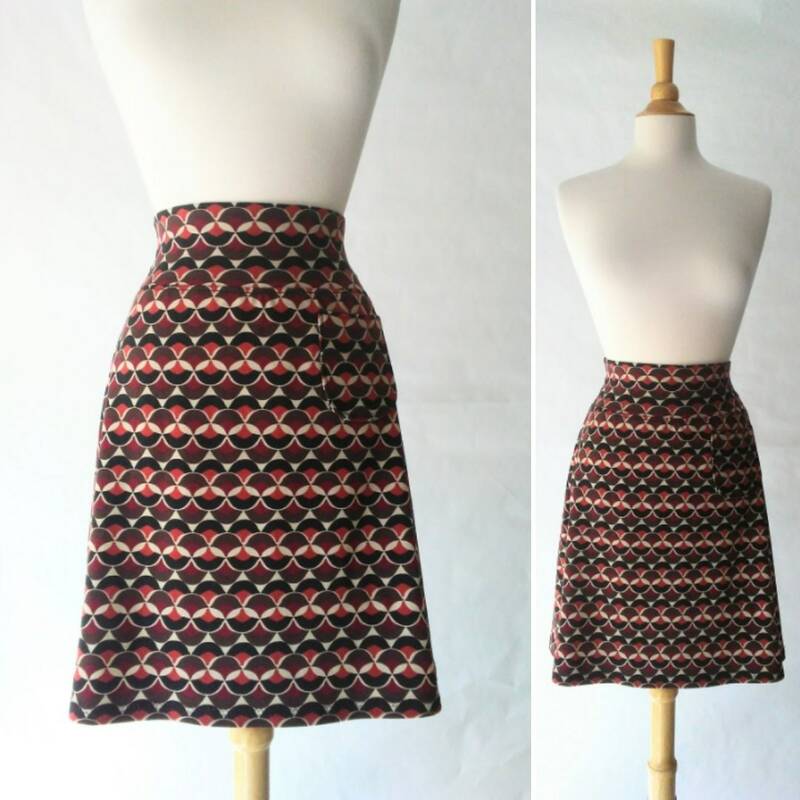 Wear this skirt high on your natural waist or pulled down on your hip ~ and anywhere inbetween :) Soft and comfortable ~ the perfect go to summer skirt, and fun to wear over tights or leggings! Skirt Length from Below Waistband 18"
Skirt Length from Top of Waistband 21.5"